Great DIRECTV specials to save you money on premium channels, NFL packages, streaming TV & more! You already get first-class entertainment at a great price when you switch to DIRECTV, but you can save even more by taking advantage of the DIRECTV deals and specials below. Get the first three months of HBO®, SHOWTIME®, STARZ®, and Cinemax® at no extra cost. If you can’t live without premium channels, you’re going to love our DIRECTV deals offering you the first three months of HBO®, SHOWTIME®, STARZ®, and Cinemax® at no extra cost. With SELECT through ULTIMATE. After 3 mos., then-prevailing rate for all four (4) premium movie pkgs applies (currently $53.99/mo) unless canceled or changed by customer prior to end of the promotional period. Genie DVR + up to 3 additional receivers included at no extra cost. The Genie lets you record your favorite programs and watch them throughout your entire home! Record five shows at once, and watch live or recorded TV in four rooms at the same time. Get your DIRECTV service set up without paying a dime by having standard professional installation included in up to four rooms. Pay nothing for standard professional installation in up to four rooms! 2017 NFL SUNDAY TICKET and 2017 NFL SUNDAY TICKET MAX included at no extra cost for CHOICE™ packages or above. or MÁS ULTRA package or above, and you’ll catch every minute of the 2017 NFL season with 2017 NFL SUNDAY TICKET and free upgrade to 2017 NFL SUNDAY TICKET MAX. Get every live, out-of-market NFL game every Sunday. Plus, you can stream NFL action on your laptop, tablet, phone, game console and more! Make sure you’re prepared for the 2017 season with these DIRECTV deals. Save money when you bundle DIRECTV with AT&T high-speed internet and home phone. Save even more money when you bundle DIRECTV satellite television with high-speed internet and home phone. You can add these high-quality services from AT&T, or from other great providers including CenturyLink, Windstream and HughesNet. Stream TV live and on demand starting at only $35/month with DIRECTV NOW. No equipment, no annual contract, no hassles. 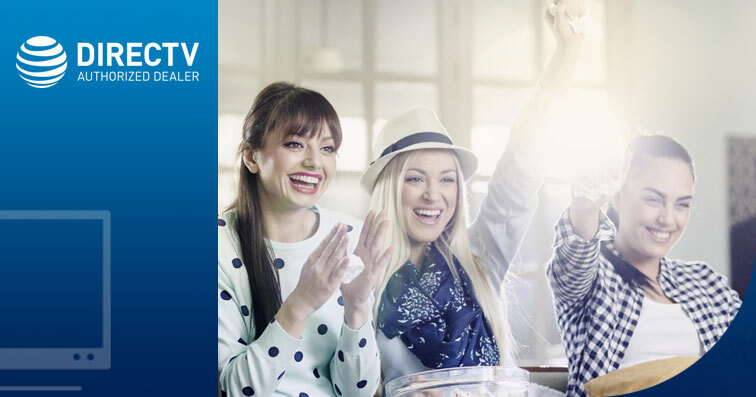 DIRECTV NOW has quickly become one of our most popular DIRECTV deals, with more people trying it every day. Starting at only $35/mo., you can stream your favorite live TV and on-demand programming on smartphones, tablets, PCs, game consoles and more. For a limited time, get 12 months of HBO included at no additional cost when you sign up for the Go Big or Gotta Have It packages. Offer ends 3/30/17, so don’t miss out on these great DIRECTV deals!